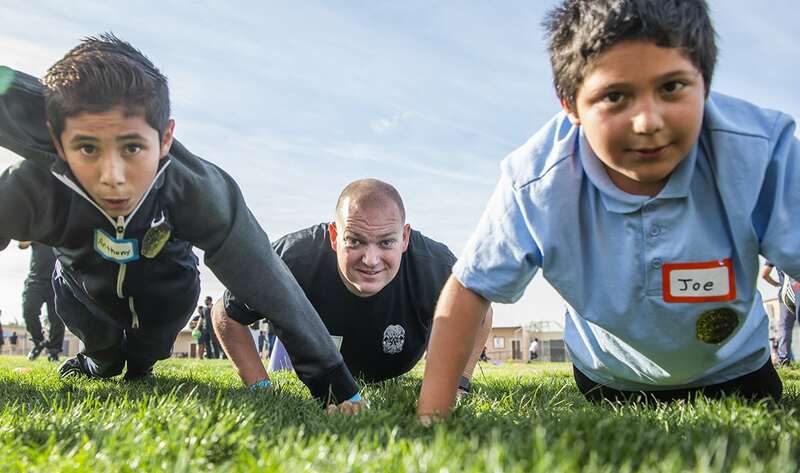 More than 20 Long Beach police officers and personnel on Tuesday helped promote fitness and positive relationships with about 175 fifth-grade students at Lincoln Elementary School in Long Beach. 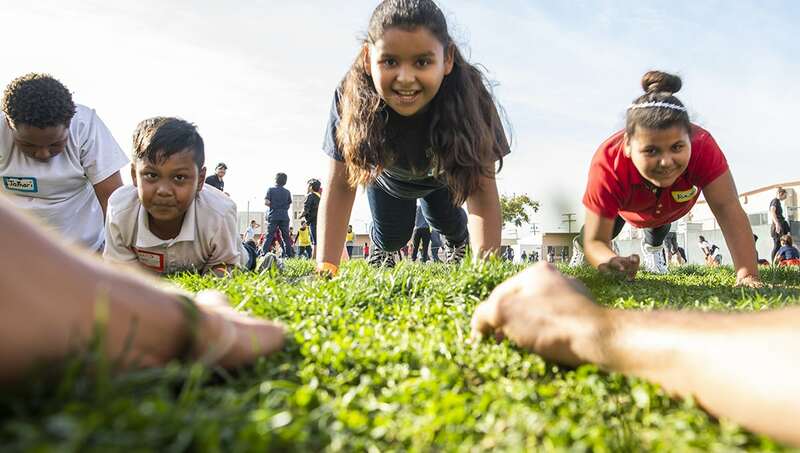 LBPD South Division officers put on their athletic gear to lead the kids in a variety of fitness games and activities. Long Beach Police Chief Robert Luna talks to fifth-grade students at Lincoln Elementary School. Photo by Thomas R. Cordova. Leslie Benitez, 10 center, does plank lifts. Photo by Thomas R Cordova. 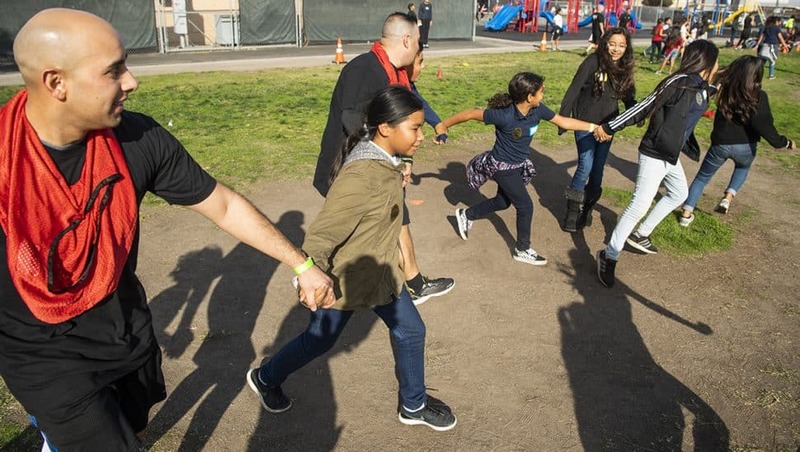 Long Beach police officers and fifth-grade students play Blob Tag. Photo by Thomas R Cordova. 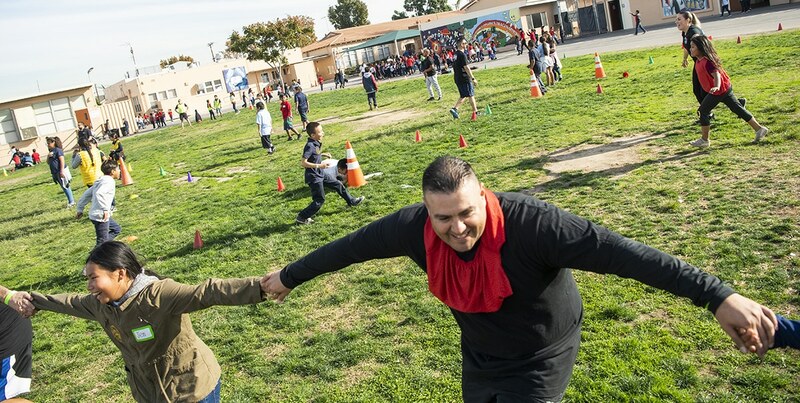 Long Beach police officer Sergio Ruvalcaba gets his Blob Tag on. Photo by Thomas R. Cordova. 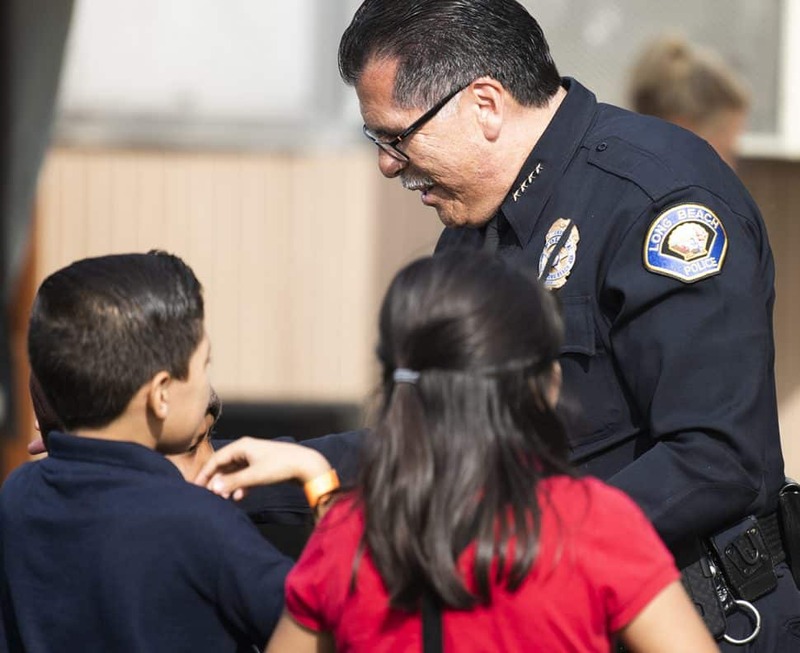 Long Beach police officer Sergio Ruvalcaba and Lincoln Elementary students share a laugh. Photo by Thomas R. Cordova. 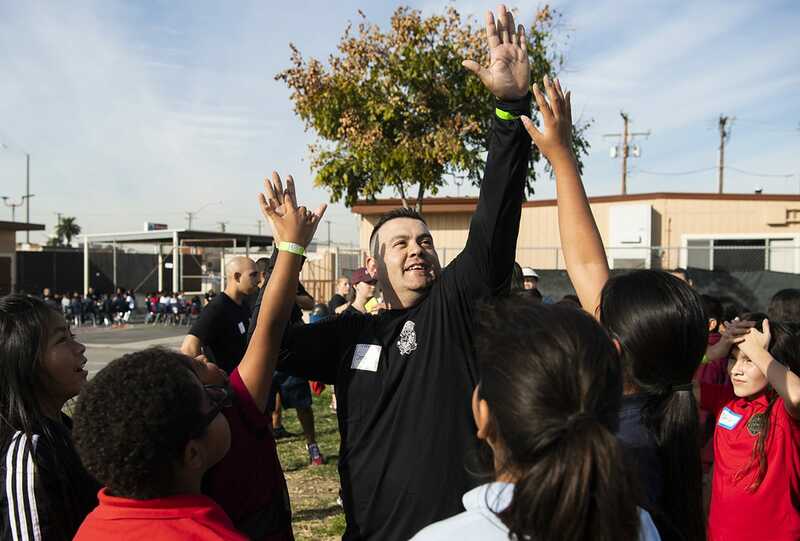 Long Beach police officer Sergio Ruvalcaba gets some high-fives. Photo by Thomas R. Cordova. 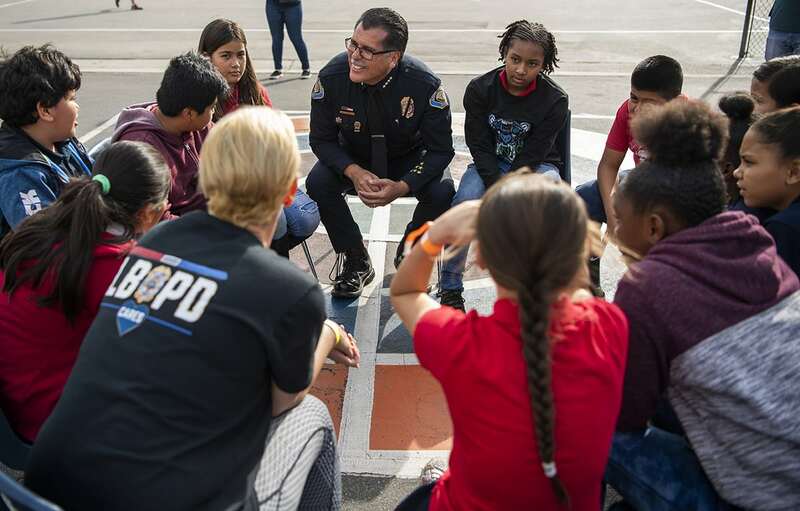 Long Beach Police Chief Robert Luna talks to 5th-grade students at Lincoln Elementary School. Photo by Thomas R. Cordova. 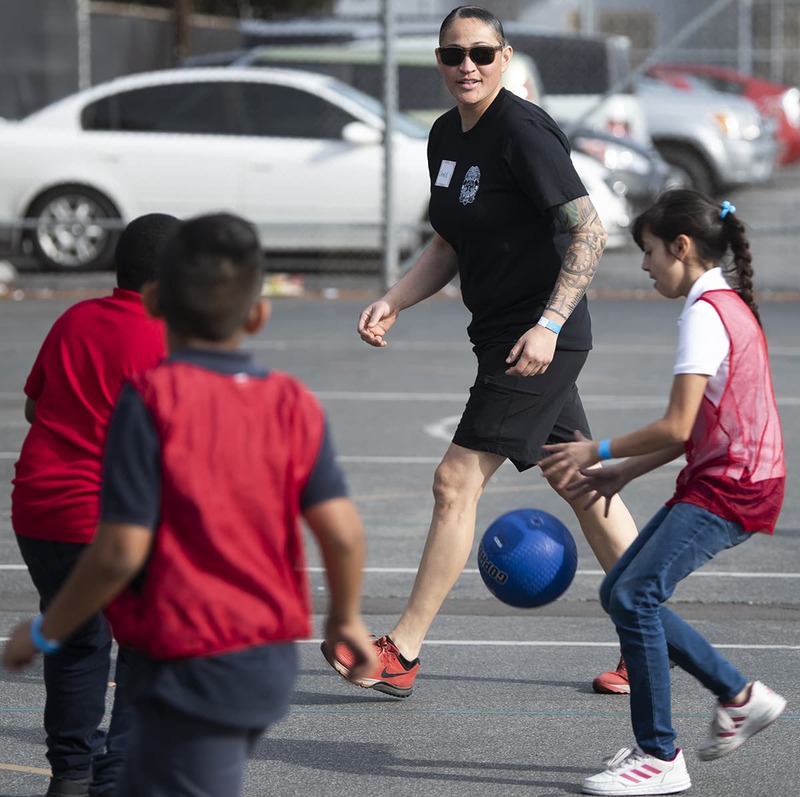 Long Beach police officer Janie Cozine cheers on kids playing basketball. Photo by Thomas R. Cordova.